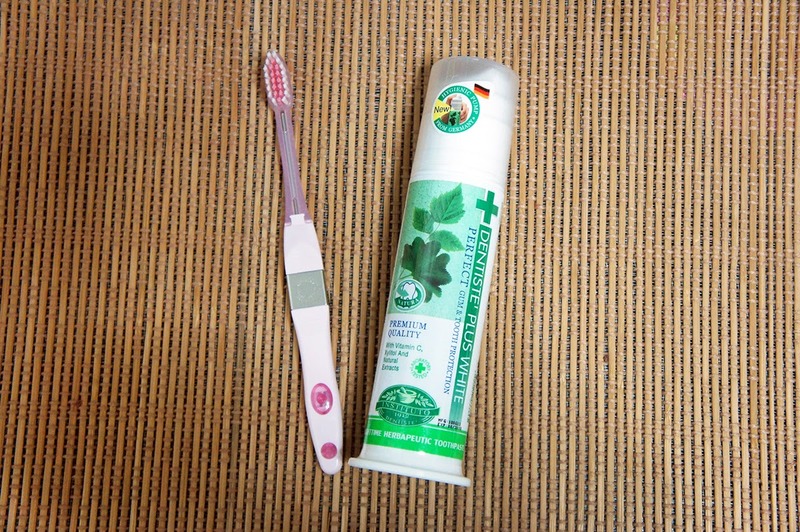 How would you like to wake up with a fresh breath and cleaner teeth and gums every morning? Having tried the Dentiste Plus White Toothpaste and the Kiss You Ionic Toothbrush for more than a week, I can feel the difference from the moment I used them. On my first brush with the Dentiste Plus White Toothpaste, my entire mouth feels all freshened up. It is my first time using a toothpaste with a hygienic pump, which ensures longer lasting quality. So there's no worry about losing the refreshing taste after some time. My teeth and gums felt very clean and refreshed when I first used the Kiss You Ionic Toothbrush. The innovative ionic action of the toothbrush allows the teeth to let go of plaque easily like turning off a magnet. I wake up to a fresher breath and cleaner teeth and gums every morning, and I like that feeling. Regular toothpastes are not able to effectively control oral bacteria; therefore, we still have bad breath though we already brush our teeth well. The only effective Night-time Toothpaste that you can feel the difference within the ﬁrst night of use. Active ingredients and hygienic pump from Germany, thus, the quality can be kept longer. 14 Natural extracts which are naturally antiseptic and antibacteria. KISS YOU Ionic Toothbrush is probably the most advanced toothbrush in the world. This is not a regular or electric toothbrush that forces plaque off the teeth by friction, hence causing abrasive action on the teeth and gums. The innovative ionic action of the toothbrush allows the teeth to let go of plaque easily like turning off a magnet. It is clinically proven to be more effective in cleaning the teeth than regular toothbrush. Daily usage of ionic toothbrush will make your teeth brighter with little or no plaque at all the next time you visit a dentist. Many health-conscious consumers prefer the Ionic toothbrush over an electric toothbrush: silent, small and ready-to-use anywhere - it doesn't need a charger or adapter. The battery can be last for a year plus.